BeckerTime is proud to offer this amazing 100% GENUINE FACTORY ORIGINAL DIESEL timepiece. 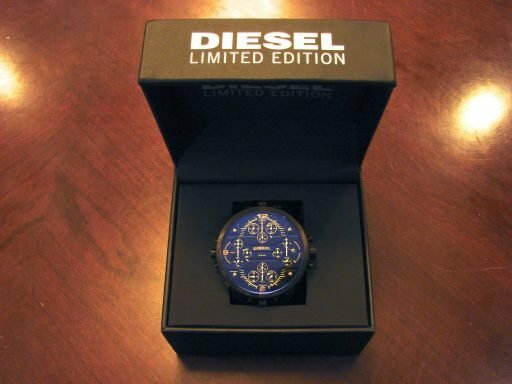 It is a Mens Diesel Limited Edition Grand Daddy Watch that is absolutely huge! 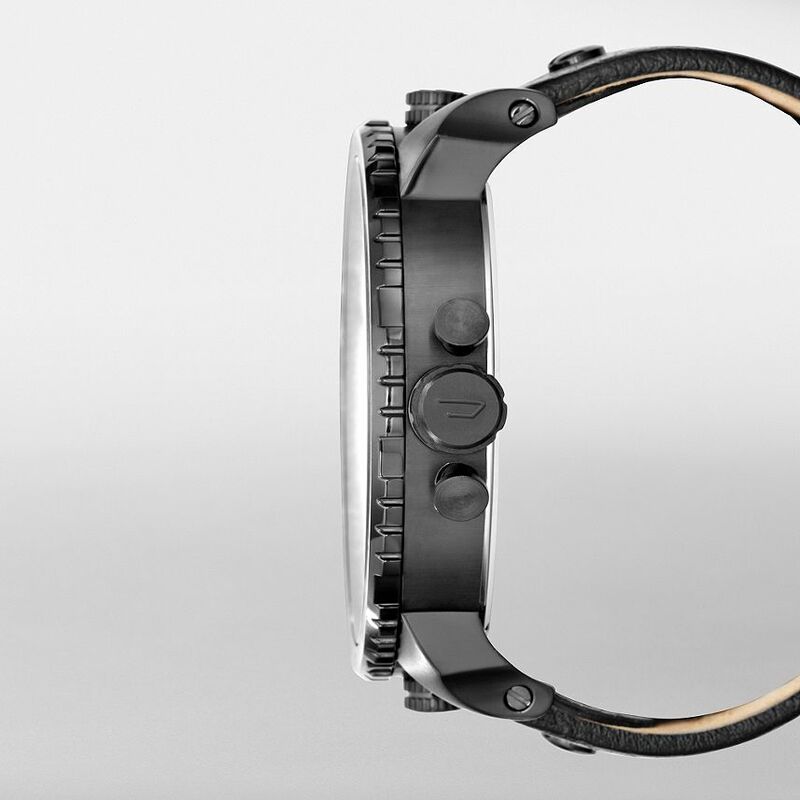 This is the LARGEST production timepiece in the world! It is BRAND NEW and comes in the Diesel presentation box w/Diesel booklet and BeckerTime 1 year warranty. This is a VERY limited production timepiece (No. 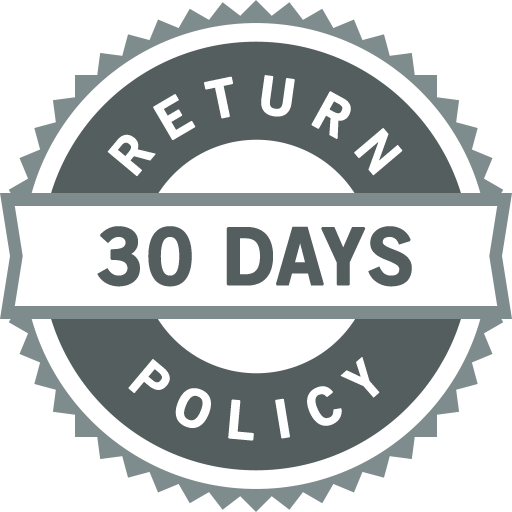 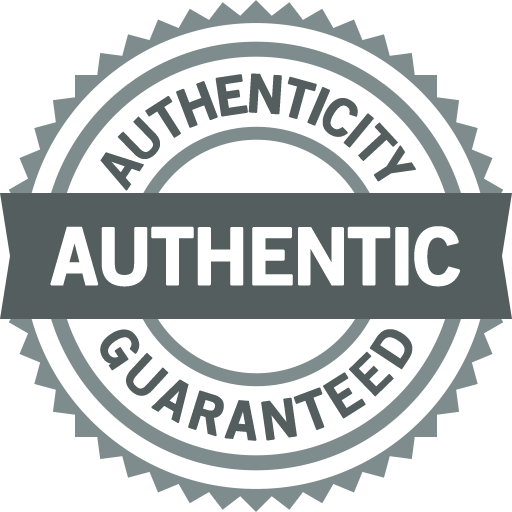 0908 of 1000) – VERY RARE! 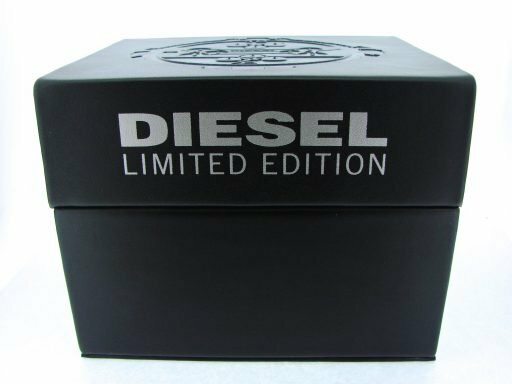 Don’t let this one get away…Buying a 100% genuine Diesel in this good of condition at this price doesn’t happen often…Hands down it doesn’t get any better than this! Movement Original Diesel quartz movement. There are four separate “independent” chronograph timezones. 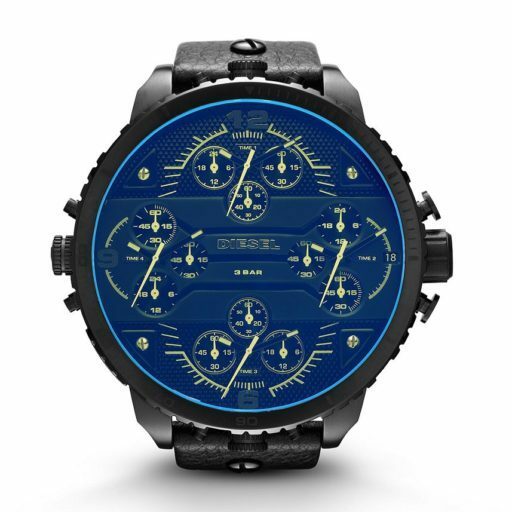 Dial Original Diesel black chronograph dial with yellow accents and yellow hands. 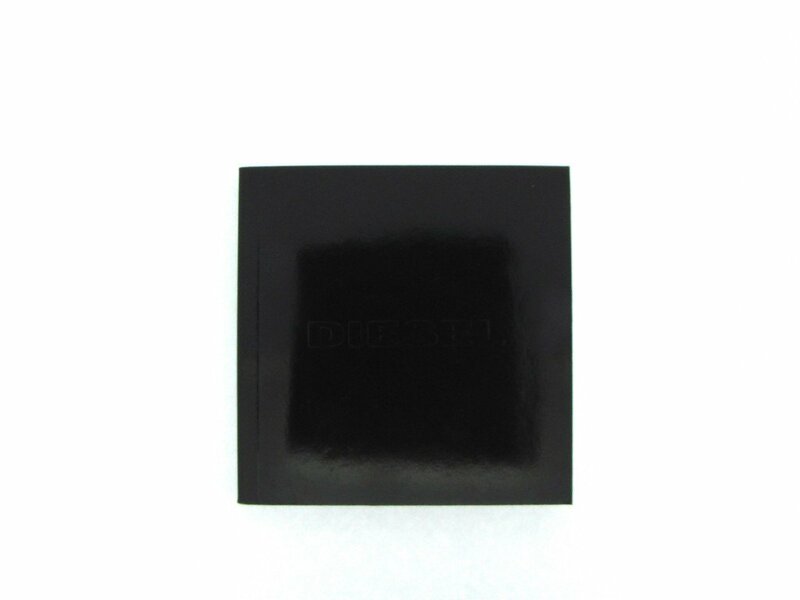 Case 73 mm x 66 mm stainless steel black case; 14mm case thickness. 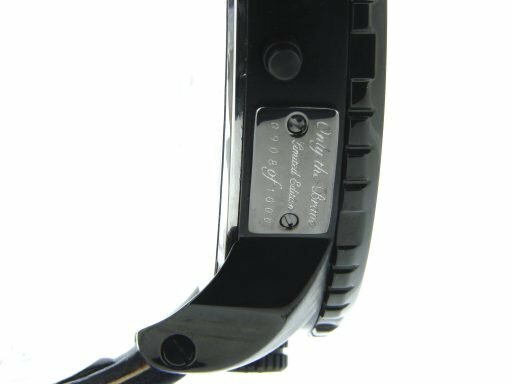 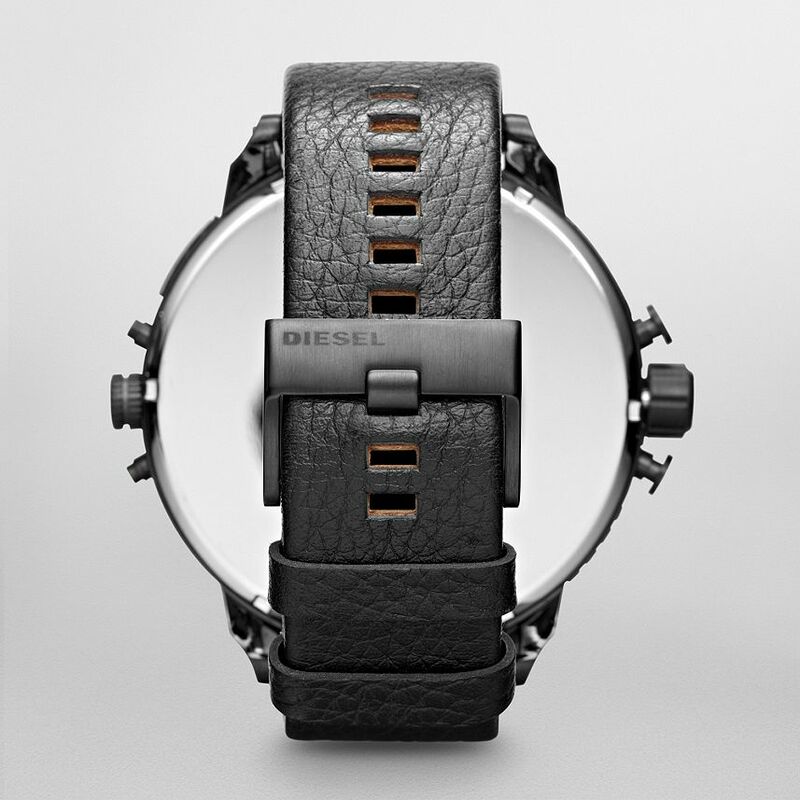 Band Original Diesel genuine black leather band with Diesel-signed buckle; 28mm band lug width.